Three high school athletes across women's and men's junior races qualified for the IAAF U20 Cross Country Championships on Saturday, placing within the first six finishers in USATF Junior Championship races at Apalachee Regional Park in Tallahassee, Florida. 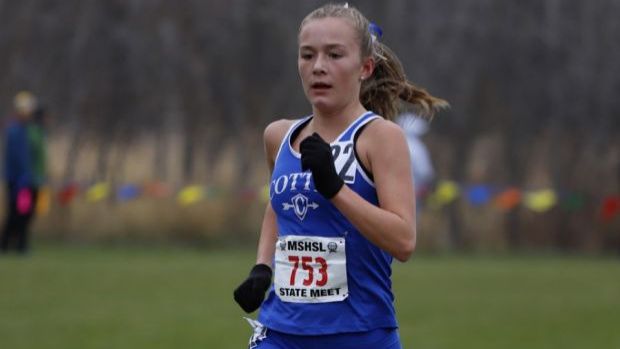 Winona Cotter (MN) sophomore Grace Ping was the highest finisher of any prep athlete, finishing fourth overall in the women's 6K junior race in 21:26.9, while two Texans earned bids by virtue of finishing in sixth-place, respectively. Katy Cinco Ranch (TX) sophomore Heidi Nielson was sixth overall in the women's junior race in 21:30.1, while Fort Worth Christian (TX) senior Carter Cheeseman was sixth in a wild men's 8K junior race that saw the University of Notre Dame signee cross the line in 24:46.2. All three athletes earned entry to the World Junior Championships in Aarhus, Denmark, on March 30. The top six finishers in each junior race earned automatic qualification. The men's winner was Wisconsin's Shuaib Aljabaly in 24:38.7, while Boston College's Nicole Clermont won the women's race in 21:14.0. For high schoolers competing on Saturday, many were racing for the first time at collegiate distances. The men's race included a handful of athletes who were in contention until the final moments, including seventh-place Graydon Morris of Aledo, who finished just seven seconds back from an automatic bid in 24:53.3. Homestead (WI) senior Drew Bosley and Academic Magnet (SC) senior Colin Baker both positioned themselves within the lead pack for much of the race before a hectic final push toward the line. Bosley was 14th overall in 25:17.4 while Baker was 15th in 25:19.5. The top 17 athletes through 5K were separated by just two seconds, but with just 1K remaining, major moves started to take place. Baker was in sixth, Morris in eighth and Cheeseman in ninth at that juncture before making an ascent up a brutal hill at Apalachee Regional Park. In the women's race Ping found herself in control throughout. She was in second place through 2.2K, in fifth through two miles and in third with just 1K to go. Nielson, meanwhile, held ground in sixth as that final 1K played out. Noelle Adriaens, a senior at Pinckney (MI), was ninth overall in 21:52.4.